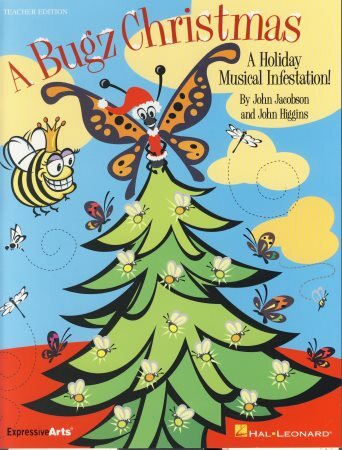 The bugz are back and ready for the annual Christmas program infestation! The carpenter bees have built the sets, and the silk worms have made the costumes. OH, NO! The termites just chewed up the Christmas tree decorations and ate the lights! (gasp) See how some special little guests light the way to a grand finale of "The Twelve Bugs of Christmas!" Designed for young perormers in Grades K-3 this musical show features 5 original songs in a variety of musical styles, easy rhyming dialog with 45 speaking parts adaptable to casts of varying sizes, and teaching objectives linked to the National Standards for each song. Simple movement, staging and costume tips are also provided to help stage a successful performance! Approximate time is 20 minutes.